The MINI Countryman invoice price and the true dealer cost are not the same. Note: The MINI Countryman pricing report below does not include rebates or incentives. View Rebates and Incentives. Subcompact cars are growing rapidly in popularity. 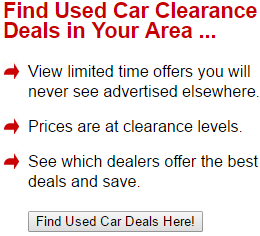 They offer consumers affordable initial prices and great fuel economy. Some of the most popular types of subcompacts out there are MINIs. The 2019 MINI Countryman lives up to the brand's stellar reputation by providing drivers with a stylish design and fun driving experience in a slightly larger package. This vehicle is part of the second generation that was introduced back in 2017. The 2019 MINI Countryman sees a few significant changes. Consumers will now have the option of Chili Red exterior paint. Each version of this vehicle will include a SIM card that unlocks a variety of safety and convenience features. Through this card, consumers will be able to unlock their vehicle through the MINI app. The vehicle will also be able to alert the nearest service department when it needs maintenance and will come with Automatic Collision Alert. Drivers will have two engines to choose from in 2019. The standard one is a turbocharged 1.5-liter three-cylinder engine. This engine is found in the entry-level trim. With this vehicle, consumers have their choice between a six-speed automatic or six-speed manual transmission. This combination nets drivers 134-horsepower and 162 lb-ft of torque. The other option available is a turbocharged 2.0-liter four-cylinder engine. This is paired with either an eight-speed automatic or manual transmission, depending on the trim level. This engine is capable of generating up to 189-horsepower and 207 lb-ft of torque. Finally, drivers can choose the 2019 MINI Countryman in a hybrid format. The S E comes with the three-cylinder engine that powers the front wheels. In the back, consumers an electric motor powering the rear wheels. This motor is powered by a rechargeable 7.6-kWh battery pack. With this trim, drivers can expect 221-horsepower and 284 lb-ft of torque. No matter which trim level of the 2019 MINI Countryman consumers choose, they can expect impressive fuel economy. Non-hybrid versions get anywhere between 24 and 28 MPG combined, depending on transmission and drivetrain options. The S E trim, which features the all-wheel-drive, will net drivers 65 MPG combined. Drivers interested in the more powerful 4-cylinder engine will be happy to know that it takes a very small hit when it comes to fuel efficiency in comparison to the three-cylinder, non-hybrid models. The 2019 MINI Countryman manages to not feel quite so "mini." It can comfortably seat five adults. Headroom is quite impressive, particularly in the front. Unlike other options in the MINI line, rear passengers will find more than enough legroom in the back of the Countryman. When it comes time to haul gear instead of people, the convenient 40/20/40 seats can be folded down for more cargo space. Premium materials are used throughout the cabin and consumers have several leather options for their seating surfaces. The user interface for the new MINI Countryman is very attractive and easy to navigate. Maps in the navigation have been simplified and are easier to use than before. Voice controls are very accurate. It recognizes natural speech, meaning drivers will not have to memorize certain phrases to make it work. There are two USB ports located up front. Certain trim levels come equipped with Apple CarPlay capability and iPhone users can take advantage of the Siri Eyes Free system. All models of the new Countryman come equipped with a rearview camera and rear parking sensors. Front parking sensors, as well as a larger screen, are both options available to consumers. The parking sensors will emit a loud noise if the driver is too close to an object. Within the 2019 MINI Countryman family buyers will find many variations. Cooper: The entry-level trim rides on 17" wheels and has features such as Bluetooth, a panoramic sunroof, push-button start, a 6.5-inch display screen, rearview camera, and much more. It is available in all front-wheel or all-wheel-drive. Cooper S: Next up on the Cooper S, consumers will find the four-cylinder engine standard with the automatic 8-speed transmission. It sits on 18" wheels and adds front sport seats. This trim is also available in front-wheel or all-wheel-drive. John Cooper Works: This is the first trim to make all-wheel-drive standard. It adds cornering lights, LED headlights, a sports-tuned suspension, rear spoiler, selectable driving modes, and shift paddles. Cooper S E: What sets this trim apart is its powertrain. It has the same features as the S, with the addition of selectable driving modes. The 2019 MINI Countryman is a great combination of the driving efficiency and fun of other MINIs and a roomy interior. 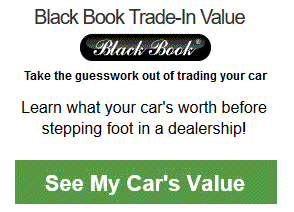 Example: Base MINI Countryman invoice price + the dealer Invoice price of options + destination - Holdback = Total Dealer Cost. 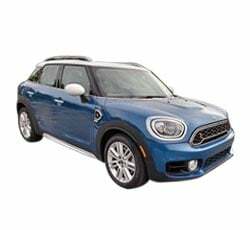 Note: All MINI Countryman MSRP, invoice and dealer cost dollar figures above are approximate amounts. Prices are subject to change without notice.